In 2001, Northern Essex Community College became the first federally designated Hispanic Serving Institution (HSI) in New England. Nearly 40% of our students are Hispanic, mostly from the Dominican Republic and Puerto Rico. This HSI designation has provided us with access to special funding and services, such as nearly $5 million in U.S. Department of Education Title V funding aimed at expanding and improving educational services for Hispanic students. The results have been dramatic and vital to our local economy and workforce: Hispanic student enrollment, particularly in Lawrence, has nearly doubled; the success “gap” between Hispanic students and majority students has closed considerably; and the proportion of Hispanic graduates at the college tripled, from 10% of the graduating class in 2001 to more than 30% in 2016. This progress is critical not just to NECC and the communities we serve, but to the entire Commonwealth. The Massachusetts Department of Higher Education has estimated that by 2020 over 70% of the jobs in the state will require some form of college education; yet we are currently on a path to be nearly 60,000 college educated adults short of the workforce we will need. This “skills gap” will only be solved by educating more of our residents, particularly low-income, minority, first-generation, and immigrant students who are currently being underserved by our higher education system. In the United States, all children are entitled to free K-12 public education, regardless of their legal status. But when they finish high school, their options for a college education vary widely by state—and Massachusetts is among a shrinking number of states that does not provide affordable access to higher education for undocumented youth. 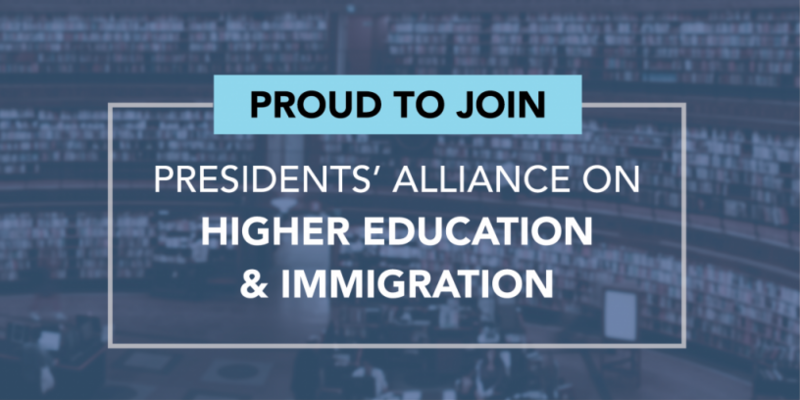 We are an alliance of American college and university leaders dedicated to increasing public understanding of how immigration policies and practices impact our students, campuses and communities. We support policies that create a welcoming environment for immigrant, undocumented and international students on our campuses. We are a nation of immigrants. Our country has benefitted significantly from the contributions that immigrants with drive, ambition and talent have made throughout our nation’s history. Our country advances when we remain true to the best of our heritage as a land of opportunity for those who dream of a better life for themselves and their children. Colleges and universities play an integral role in securing our nation’s well-being and prosperity through our teaching, research, service, creative activities and contributions to workforce and economic development. For generations, colleges and universities have been engines of opportunity where individuals of every background, native born and immigrant alike, could receive the education they needed to rise as high as their talents would take them. Undocumented immigrant students who have attended U.S. high schools are members of our communities deserving of dignity, respect and the opportunity to realize their full human potential. 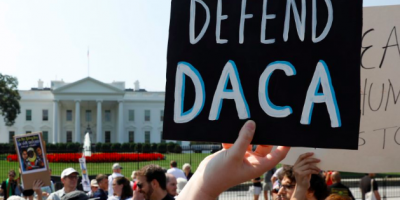 Undocumented immigrant students who are able to pursue their academic and professional dreams contribute to our communities and country and help meet the challenges that lie before us, just as generations of immigrants have done before them. International students and scholars enrich our campuses as educational and research environments. Our colleges and universities are magnets for the world’s talent, from those ready to contribute to our nation’s prosperity to those who dream of making their home countries more just, inclusive and equitable societies. The presence and contributions of international students and scholars are key to achieving our educational and service missions to create and disseminate knowledge for the betterment of the individual, society and the world. 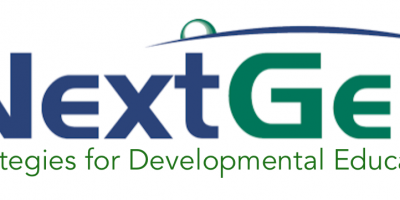 This enhances the education and understanding of all students, their preparation to live and work in an increasingly connected world, and their readiness to tackle global challenges. 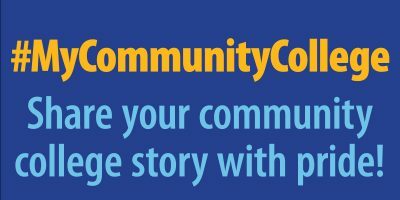 Educate the public and policymakers about the value and contributions of international and immigrant students and scholars to our campuses, communities and nation. Improve how we support international and immigrant students on our campuses, including by sharing best practices with each other. Support the consideration and adoption of federal immigration policies and practices as well as relevant state policies that honor our values and commitments as educational institutions and press for re-examination of those that do not. I firmly believe the adoption and pursuit of these principles are critical not only for the wellbeing and success of NECC’s students, but for the economic and workforce development of the communities we serve, and the just and equitable future we strive toward for the Commonwealth of Massachusetts.